COBIT 5 is a renowned IT governance framework designed to align crucial business goals with IT solutions and services. A large part of the COBIT 5 methodology revolves around the ‘goals cascade’, a concept that turns stakeholder needs into clear, actionable strategies. 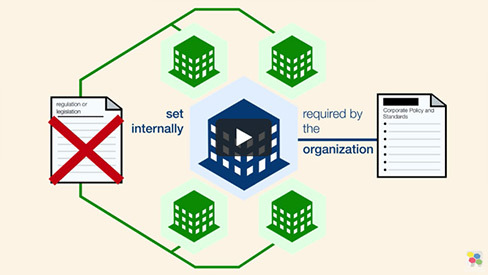 In this video, Mike from Good e-Learning provides an overview of the COBIT goals cascade, the methodology behind it and the advantages that it offers COBIT 5 practitioners. Good e-Learning is an award-winning online course provider which covers many of the world’s most popular standards and frameworks, including TOGAF, ITIL, Lean and COBIT 5. We believe that learner engagement is paramount when it comes to online training. This is why all of our courses utilize top-notch online learning tools, including interactive videos, rich motion graphics and gamified quizzes. We also provide 24/7 tutor support to help students along, as well as full mobile-accessibility to ensure that they can study at any time and from any device. Our IT governance and compliance portfolio offers an ideal starting point for COBIT 5 users with the COBIT 5 Foundation course. We even offer FREE exam vouchers for when students are ready to become COBIT-certified. If you want to utilize COBIT 5 in order to ensure GDPR-compliance within your organization, we also offer the combined COBIT 5 Foundation & GDPR Implementation Suite.